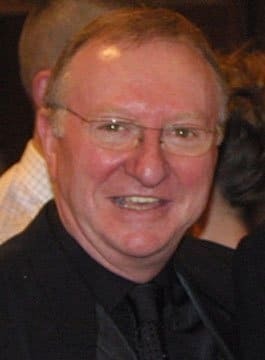 Dennis Taylor OBE is a Former Snooker World Champion, Commentator and After-Dinner Speaker. Dennis took up the game of snooker aged nine. Five years later he became the local champion in Coalisland, Northern Ireland. Taylor moved to England in 1966 and lived near Blackburn in Lancashire. In 1968 he won the National Under-19 Billiards Championship and became a professional snooker player in November 1972. With fewer tournaments played than there are nowadays, it wasn’t until 1979 that he reached his first final, at the World Championship. Terry Griffiths defeated him, and few could have imagined what an important part of Crucible history Taylor would become. He continued to reach semi-finals and finals over the following years but had to wait a long time for his first major professional title. Having experimented with contact lenses, in 1983 Taylor began to wear the large snooker glasses which became his trademark. The following season, he collected his first title. The sudden death of his mother at the start of the season had caused him to pull out of the first tournament of the season, but he went on to claim an inspired and emotional victory in the Grand Prix, beating Cliff Thorburn in the final. It was just a few months later that Dennis Taylor extraordinarily took the World Title. When Steve Davis took an 8-0 lead in the first session, it looked as if Taylor would have to settle for the runners-up spot again, but he fought back to trail just 9-7 overnight, and the contest eventually went right down to the wire. Few could believe the events of the final session. Over 18 million were watching after midnight on BBC television as the contest reached its climax. Taylor claimed the title on the final black and became part of a snooker legend. Dennis remained a dominant force in snooker and reached the latter stages of many ranking events without winning another. He did, however, claim the 1987 B&H Masters title after a nail-biting final against Alex Higgins. He made a smooth transition from player to commentator and is now an intricate part of the BBC commentary team. Dennis is available to deliver entertaining after-dinner speeches.